I love these. Finally a bakery like treat that doesn’t taste like a brick! I went a step further and cooked down some apples with honey and cinnamon and had that as a filling. They were divine. Yum, Amanda. 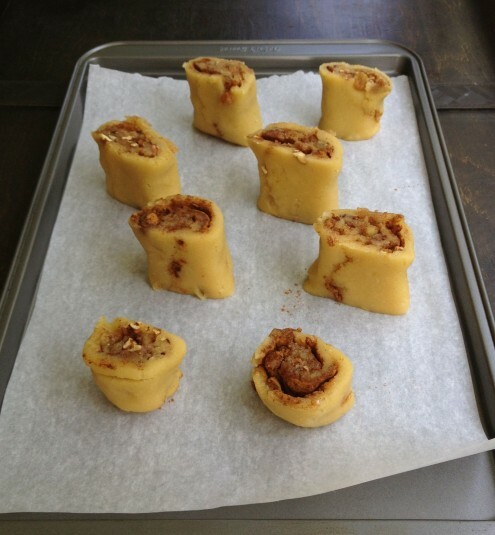 I love your apple-cinnamon filling idea — a nice twist on the regular cinnamon bun, and another way to enjoy these. Thanks! I made these from the Urban Poser with a meringue icing (whipped eggwhite with hot honey). DELICIOUS! That’s a big variation in proportions. I’m wondering what worked for you. Thanks! This recipe looks really good!. Thanks, Kelly! They tasted delicious too. Almond flour rocks! Hi, today we have a silly day called, the cinnamon rolls-day, in Sweden and I wanted to bake healthy buns for my family. 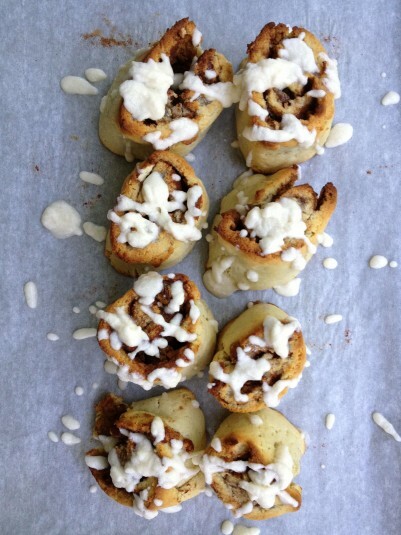 I tried this recipe and everyone just loved it, it’s the best rolls we’ve ever eaten..thank you so much!! My eldest daughter usually never likes the healthy pasterys I make but these where the most delicious buns she’ve ever eaten. thank you!! Mirjam, thank you for your kind comment. I’m thrilled to see our blog reaching all the way to Sweden. Very cool! And what a great idea, a cinnamon rolls day — I wish we had something like that here. So glad the cinnamon rolls worked out for you. Thanks again! Hello, not sure you will see this comment, as I don’t see any other discussions since 2003 in regards to your delicious looking chocolate chip cookies. We must be fully sugar free right now, including honey, so wondering if you think xylitol would be an acceptable substitution for this recipe. Thanks for your help. Merry Christmas.